8:00 AM pick up from your hotel then transfer out of Sai gon for Mekong Delta.then we’ll take back roads to Cai be,where we’ll board a boat to An Binh island.we will spend some time to visiting artisans;we will watch coconut candy making,rice paper making and popcorn/pop rice making.then,we will enjoy luch on the island before continuing to our local home stay run by a lovely retire couple ,MR.&MRS BAY.The Bay’s live in a typical mekong vietnamese house,with airy rooms and an outdoor kitchen.the rest of the afternoon you’re free to bike around the home stay. Diner at the home stay. 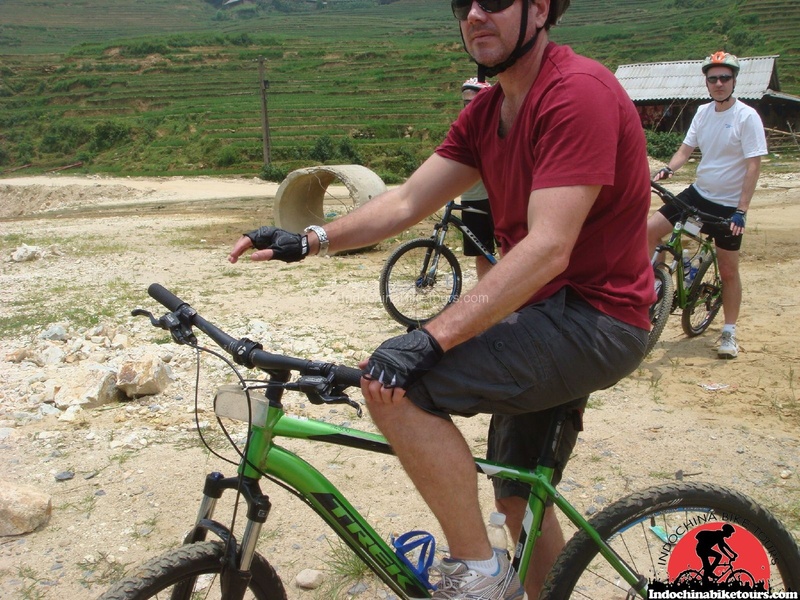 Activities:,• 50-70 km biking.,• Meals: breakfast , Lunch, Dinner. 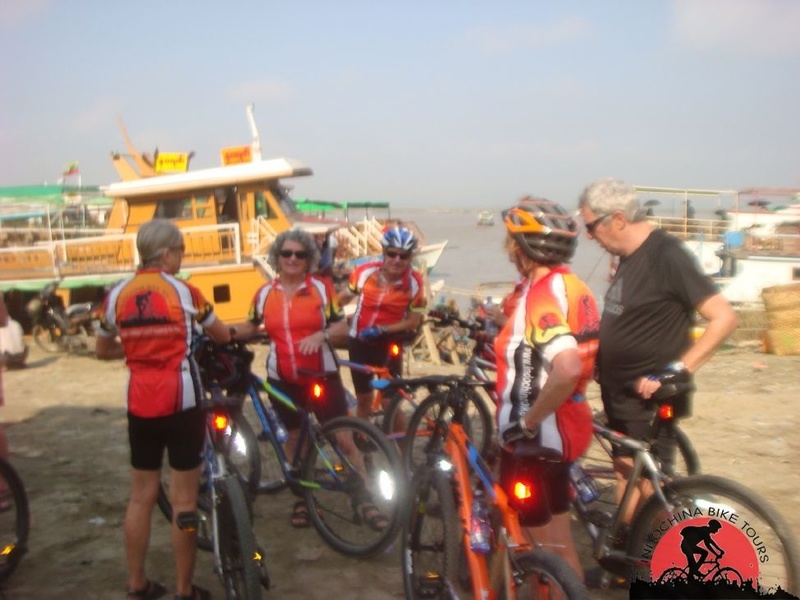 You have an early start from the hotel to board the boat to Battambang. This is arguably the most fascinating river trip in Cambodia and takes around 6 – 7 hours (N.B. When the water levels are low it may not be possible to take the boat trip, and the journey will be made by road). As the river winds its way into the Tonle Sap Lake (South East Asia’s largest freshwater lake) you pass an amazing variety of landscapes and lives, seemingly unchanged for hundreds of years. As the river joins the Tonle Sap Lake you pass the protected wetland of Prek Toal, regarded as the single most important breeding ground for globally threatened large water birds in South East Asia. After crossing the vast expanse of this inland sea and heading towards Battambang port you pass through the floating village of Chong Khneas where we witness an entire bamboo village complete with homes, gas stations, schools, hair dressers, and even karaoke bars floating on water! Once you arrive at the port you get a chance to try the local bamboo Train before get to your hotel. Activities:,• no biking.,• Meals: breakfast,Lunch,Dinner. Activities:,• 50-85 biking.,• Meals: breakfast,Lunch,Dinner. Day 16: Paillin-Pong Nam Ron. 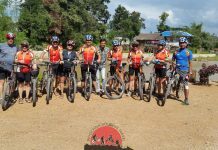 This morning you head west on less travelled roads, cycling towards the quiet Cambodian/ Thailand border crossing, nestled in the foothills of the scenic Cardamom mountains. 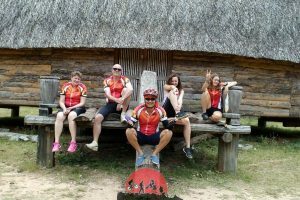 Immediately on crossing the border you will notice the difference in the fortunes of these neighboring countries as you leave the bumpy red dirt roads of Cambodia and cycle on the tarmac of Thailand ! It is also very obvious how the wood and thatch shacks of Cambodia give way to the concrete homes of Thailand . 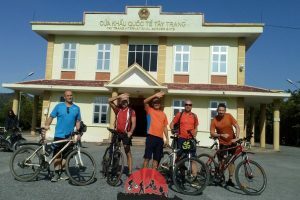 After 20km of Cambodian cycling from the small, dusty town of Pailin, which was once home to both a thriving semi-precious stone mining industry and some former high ranking officials of the expired brutal Khmer Rouge regime we will crossing the boder and cycling the rest from the boder to the beautifull hotel for the cold beer and the swimming pool.,Over night in Pongnamron. Activities:,• 50-65 biking.,• Meals: breakfast,Lunch,Dinner. Today is a big day as you cycle through 110km with some dowmhill at the beginning and some steady climbs at the end . 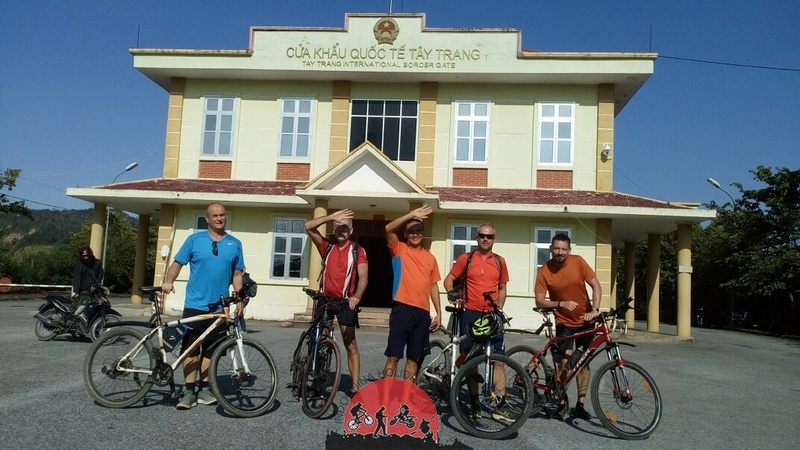 Initially you bike inland and notice the scenery changing from forests to coastline and distant mountains. Again this bicycle ride is on small paved roads that have little traffic and are a joy to cycle on. 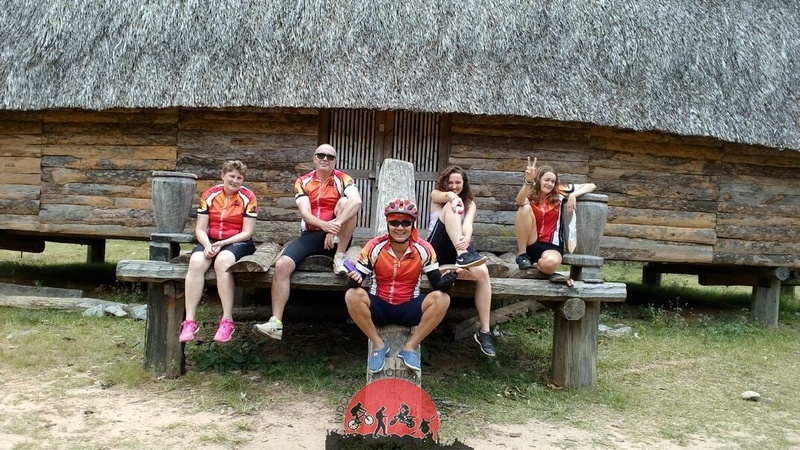 You are now in Chantaburi Province which is well known for its fruit and you will see and taste plenty as you pass by plantations, forests and lots of small local villages. The last 12km of the ride is on a big road and this is where the small climbs begin. However, on arrival in Chao Lao beach the reward is the hotel’s pool where you can relax with a well earned beer, overlooking the adjacent beautifull beach. 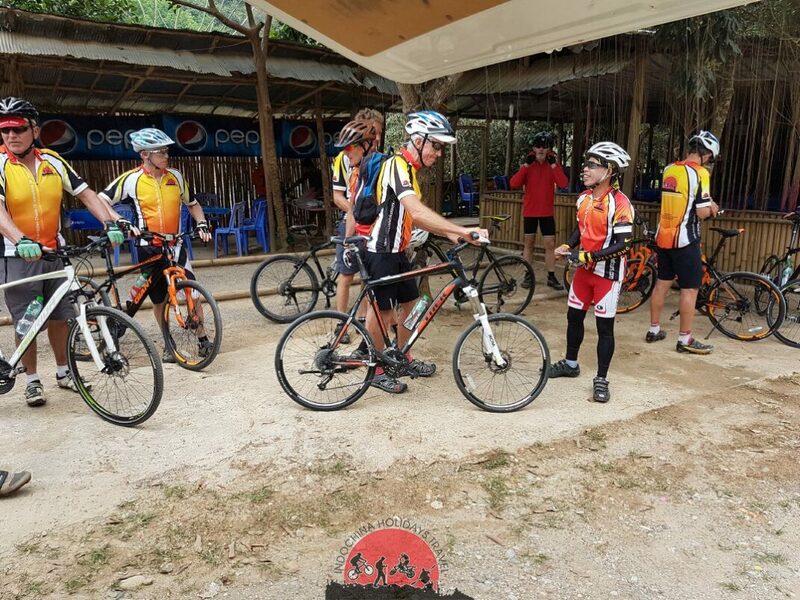 Activities:,• 50-110 biking.,• Meals: breakfast,Lunch,Dinner. 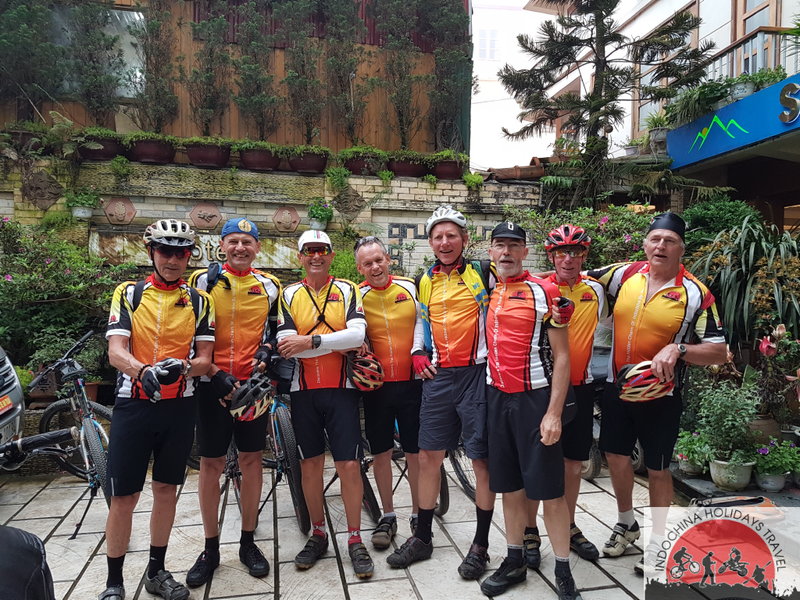 Activities:,• 50-80 biking.,• Meals: breakfast,Lunch,Dinner. Day 19: Leam Mea Pim Beach- Bangkok. Before transferred north away to the busy streets of Bangkok we will have the last chance to the laydown maybe even take a dip in the clear warm waters of the Gulf of Thailand at thebeautiful Laem Mae Phim Beach. End The Tour . Activities:,• no biking.,• Meals: breakfast,Lunch.